Like a dragon going through the desert, grassland and mountains, the Great wall attracts incalculable photographers to take photos of its beauty. The earliest photographers can be traced back to the Qing Dynasty (1633-1911); most of them are from Europe and America. 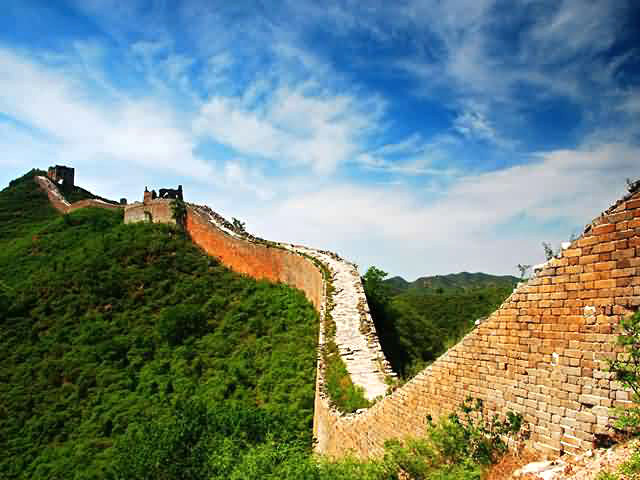 Located at the cross of Miyun County and Ruanping County in Hebei province with a distance of 135km (83.8 miles) from Beijing city, Jinshanling Great Wall was first built in 1378 and rebuilt in Ming Dynasty (1368-1644). 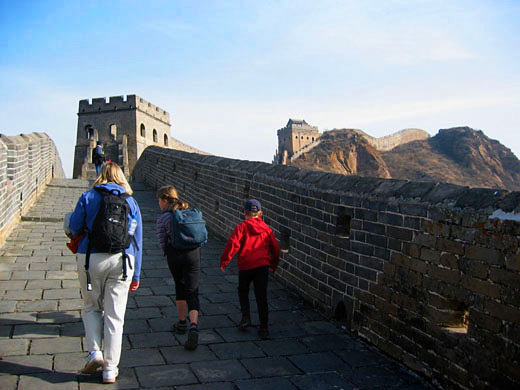 With majesty vigour and widen view, Jinshanling Great Wall is overspread by watch towers. 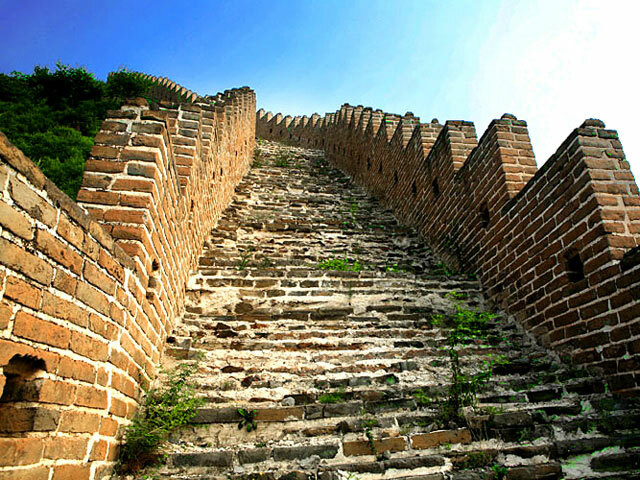 Retaining walls, hollow watch towers and storeroom towers are also unique features of Jinshanling Great Wall. The best shooting time is May to October every year. The cloud, mist and rainbow after raining during summer and autumn is an attractive sight of Jinshanling. 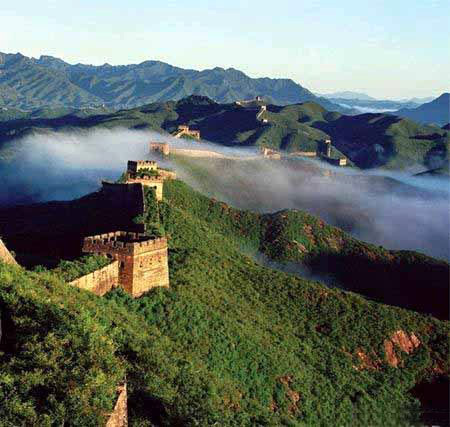 Simatai and Jinshanling great walls are the favorite shooting spots of “National Geographic Magazine” and “World Heritage in China”. Located in the northeast of Miyun County which is 120km (74.52 miles) from Beijing city, Simatai Great Wall was first built in North Qi Dynasty (550AD-577AD) and repaired in 1573. 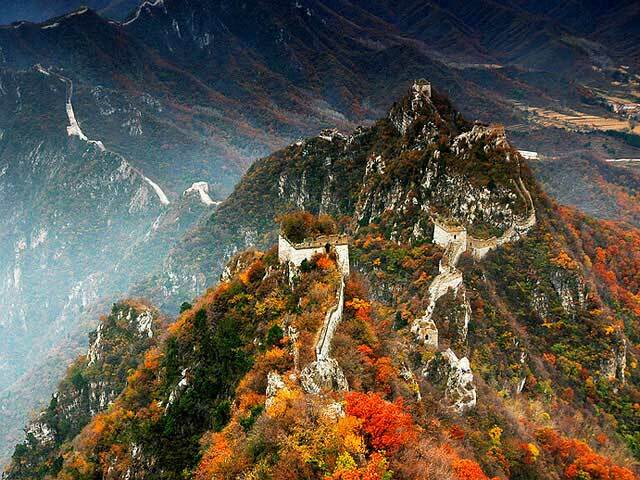 Famous for its danger, Simatai Great Wall is built at the Peak of Yan Mountain so it became an important pass of the northeast in the history. The east section of Simatai Great Wall bends over on the back of rock with the width of 40cm (15.76 in) which is called “Crossover”; another section named as “sky ladder” is built on cliff of nearly 90 degree’s bend. There are two famous wall towers on Simatai Great Wll– “Wangjing Tower” and “Fairy Tower”. Visitors can view the twinkling lights of Beijing city from the two towers at night. The best season for photographing at Simatai is summer and autumn. Jiankou Pass Great Wall is an assembling place for Great Wall photographers. Built in 1404, Jiankou Pass Great Wall is in a shape of the letter “W”, like arrow nock which is called “Jiankou” in Chinese. 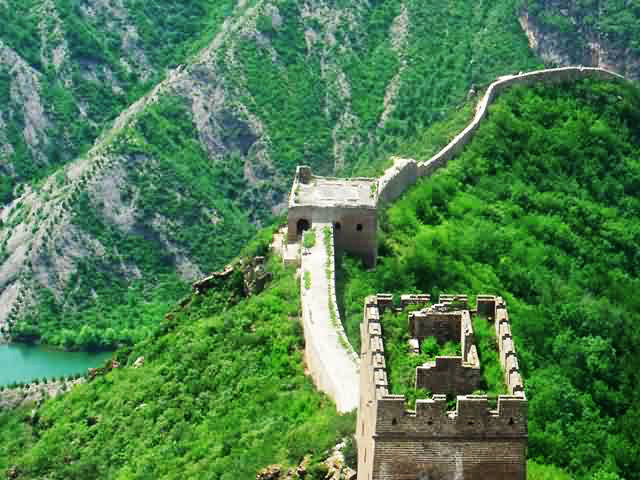 The section is centered by Huairou with its east to Mutianyu Great Wall and west to Dazhenyu Great Wall. With 47 watch towers, Jiankou Pass collects the inside and outside great walls from three directions. From east to northwest, it locates the diversified and metrical attractions including “arrow nock”, “sky ladder”, etc. 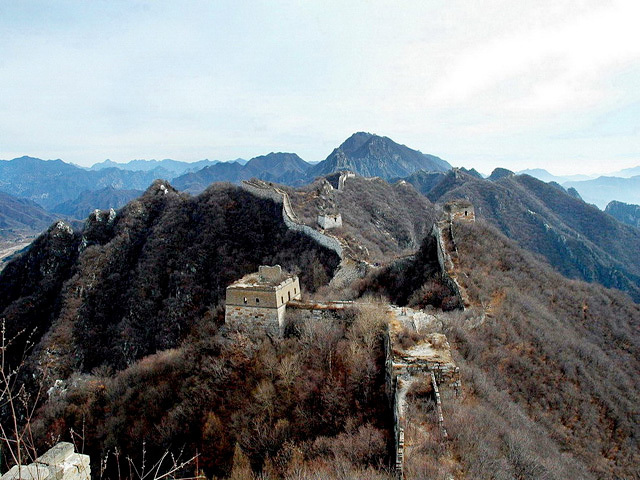 With most of the parts built on the perilous peak of mountains, Jiankou Pass Great Wall overlooks spectacular. 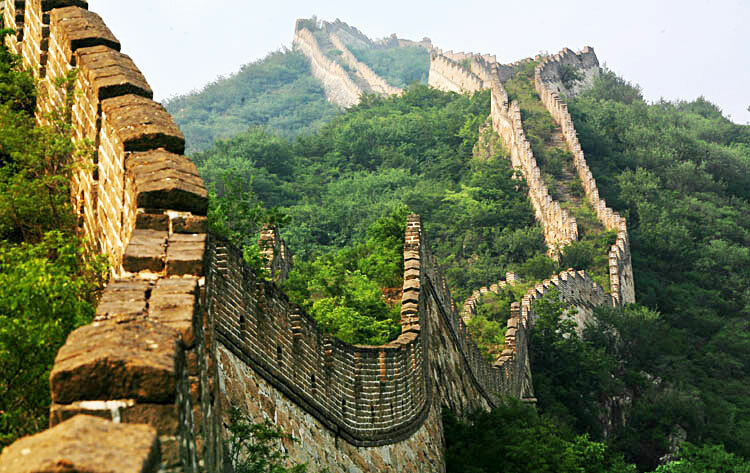 Famous for its steepness, this section of great wall is regarded as the preserved one with the brightest feature of great walls in Ming Dynasty. Jiankou Pass Great Wall has attracted numbers of famous photographers in and abroad and enthusiasts of Great Wall heading for its beauty. 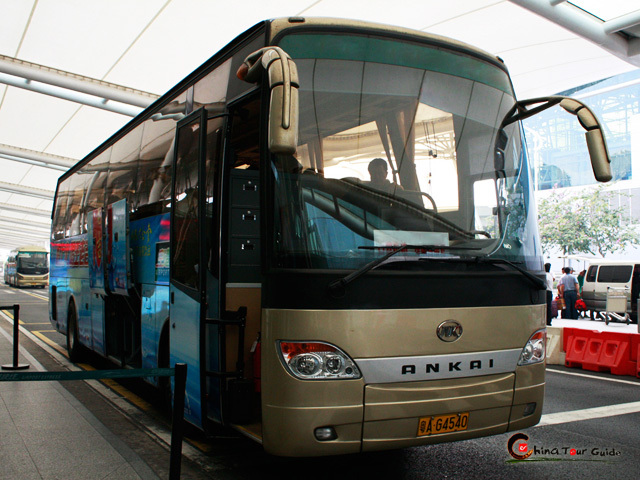 One of the best time to visit Jiankou Pass is middle April when peach blossom and almond flowers blossoming out. 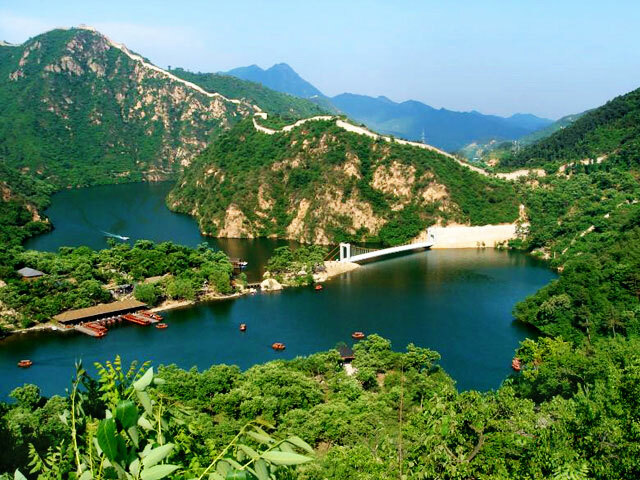 Located in Chong Mountain of Huairou County which is about 80 km (49.68 miles) from Beijing city, Dazhenyu Great Wall still keeps the original appearance. In spring, flowers blossomed out all over the mountain; in autumn, the leaves look like fire. The best shooting seasons are spring and autumn. 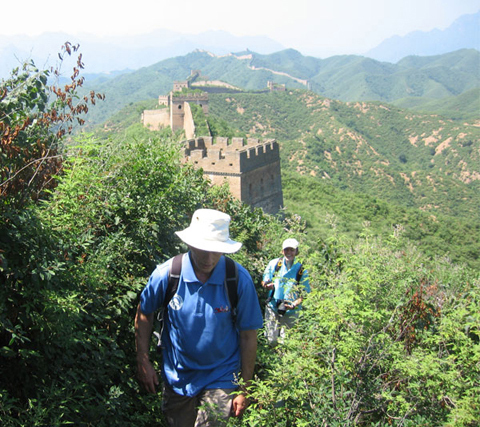 Huanghuacheng Great Wall is an important fortress at the east end of Juyong Pass Great Wall. During April every year, peach blossom and almond flowers blossom out everywhere; the flowers together with the reservoir make Huanghuacheng Great Wall becomes a typical featured landscape Great Wall. The best time for photography: from early April to April 20. “Water Great Wall” of Huanghuacheng is the unique and oddity sight of “great wall under water” in Beijing. The sight of “great wall under water” is caused by the building of reservoir which submerged a part of the great wall. After the flood, it formed a moon-shaped lake which was regarded as “small west lake”. The lake is peaceful and clear with the reflection of the great wall and flowers. Located in the north of Miyun County which is about 120 km (74.52 miles), Gubeikou Great Wall is one of the passes with various wars in the history. Numbers of famous wars has been happened here. The best seasons of photography are summer and autumn. 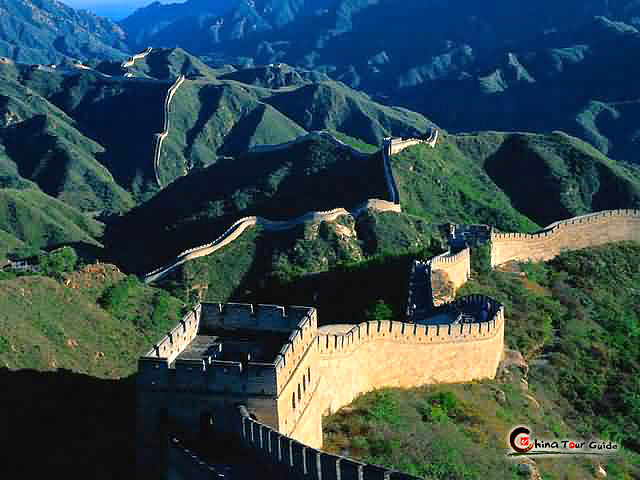 Located at the cross connection of northwest of Changping and Huailai County in Hubei province, Changyucheng Great Wall has a length of 8 km (4.968 miles) which is the section with the highest altitude in Beijing. Its highest watch tower is about 1460 meters (4790.26 ft) in height. The unique roundness watch tower in Beijing can be seen from Changyucheng Great Wall. There is an ancient village at Changyucheng Great Wall called Changyu Village which still keeps the original village style and features without extensive tourist receptions. Changyu Village was used as castle for military use in Ming Dynasty (1368-1644) so it still keeps the ancient castle walls and city gate. 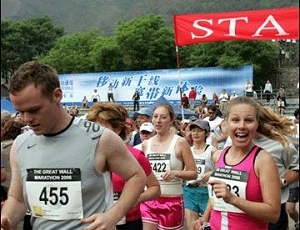 The amalgamation of the Great Wall and the ancient village culture is a unique charm of Changyucheng Great Wall.